Welcome to our secure donations site. When registering please have all the information you need in front you as the sytem will time out after fifteen minutes. Your registration includes meals. The Mission Center Meals is for people who are attending assembly for the Mission Center Only. Any questions or problems with this form please contact Cynta Outterbridge, Assembly Registrar at 267.323.3742 or via email at coutterbridge@sepa.org. Rules of Procedure addition now calls for Assembly registration to be closed 30 minutes prior to the anticipated time for each ballot for Bishop. This will ensure that the number of persons eligible to vote can be verified vis a vis the actual votes cast on each ballot. 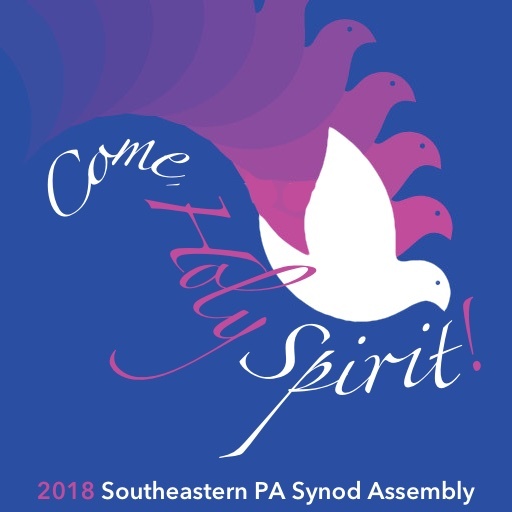 Lutherans from across Southeastern Pennsylvania will gather May 4 and 5 around our Assembly theme, "Come, Holy Spirit," as we elect a new bishop and journey together in worship and furthering the work of the Synod and our vision of the Forward Together in Faith campaign. The Thirty-First Annual Assembly of the Southeastern Pennsylvania Synod, Evangelical Lutheran Church in America, will be held at the Franconia Mennonite Church, 613 Harleysville Pike (Route 113), Telford, PA 18969.